Complaint regarding: Appropriate Supervision/discrimination, to wit: A.R. 5120-9-04. On November 17, 2016 the Ross County Correctional Institution mail room received twenty-five (25) embossed envelopes from a Mrs. [name omitted] that was addressed to be delivered to myself. However, on this occasion the aforementioned embossed envelopes were confiscated as contraband and were never returned to my wife or forwarded to me. A new policy, (75-MAL-01), has purportedly been instituted that bans all incoming embossed envelopes sent from the family and friends of those incarcerated at the Ross County Corr. Inst. As it stands, I [name omitted] am legally indigent, as I've been held to the monthly stipend of $10 for the past fifteen years, under the banner of court cost, fines and restitution and I can't afford to purchase embossed envelopes along with hygiene and miscelaneous laundry products. This new policy (75-AL-01) discriminates against every indigent prisoner on this compound and ultimately affects the quality of a relationship already deprived of hand-to-hand contact with friends and loved ones in free society, and the quality of tenure of incarceration. Listed below are a variety of prisoners adversely affected by this new policy (75-HAL-01), who have no alternative means of purchasing embossed envelopes. Accordingly, we respectfully request the above mentioned new policy, be rendered moot and that the original policy, that allowed prisoners to receive embossed envelopes from family and friends be re-instated. Please assist us in any way you deem appropriate. MIM(Prisons) responds: Our job as revolutionaries is to organize people and bring them together. The primary task of U.$. prisons is to control oppressed-nation people, and to prevent them from organizing to change their conditions within this capitalist society. The above policy in Ohio serves no purpose except to exacerbate the already difficult situation of oppressed people to not only organize but also stay mentally and relationally healthy when locked up. This policy is one tiny piece of a much larger battle. First local police and British occupation forces would cease to refer to the IRA and other Irish nationalist groups as political organizations with a political mandate. Instead Irish revolutionaries would begin to be labeled as "thugs", "criminals" and "terrorists". Third, criminalization required that Britain begin to pull its troops from Northern Ireland delegating national oppression to local police with special military and counter-intelligence training, thereby giving the public the impression that fighting the IRA was a law and order issue and not a war. Finally, the linchpin towards normalizing Britain's 800 year oppression of Ireland would be the repealing of Irish political prisoner status known as "special category": special category was granted to captured IRA and INLA members. Prisoners granted special category were given preferential treatment. More importantly, however, from the IRA point of view the fact that special category existed was an admission of sorts that British occupation of Ireland was something to be contested, even by the Brits. As in any struggle, the 1981 hunger strike didn't simply develop overnight, rather it was the product of a series of protests almost a decade in the making. 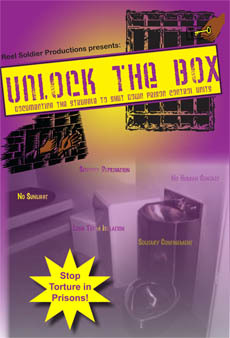 When Britain announced an end to special category status in 1976, prisoners immediately got to work. For Irish revolutionaries the fact that they had been captured didn't mean the war had ended. Instead prisoners viewed Long Kesh as just another front line in the war for national liberation. The struggle to re-instate special category was first sparked 16 September 1976, when a fight between guards and a prisoner broke out after the prisoner refused to put on a prison uniform while being admitted into the general population following a conviction on a terrorism charge. Prior to 1 March 1976, there was no such thing as terrorism charges being applied to Irish revolutionaries. Once in prison, IRA and INLA members were segregated from the general population. They were also allowed to wear their own clothes. Soon other IRA & INLA members began to refuse to wear prison uniforms which marked them as criminals. As a reaction to this resistance administration then refused to clothe prisoners who refused to comply leaving them confined naked in their cells 24 hours a day with only blankets to cover themselves. (pg 16) The "blanket" protest had officially begun. Sands also contributed articles to the Sinn Fein newspaper Republican News, which he was able to smuggle out of the prison thru the use of couriers. (pg 46) Something else that was relevant about Sands, and which is worth noting here, is that he showed the correct attitude with comrades when it came to discussing revolutionary politics. Sands would push his comrades hard on the topic of political study. Whenever he lent someone a book he'd question them on what they'd learned, and if he didn't think they'd seriously absorbed the material then he'd insist they read it again. When Sands first arrived in Long Kesh he was sent to a segregated area called the "Cages". The Cages was where IRA, INLA and other nationalists were sent to prior to the 1 March 1976 cut-off date for special category. Because the IRA as a organization never developed or held to one particular ideology that they believed or upheld to liberate Ireland meant that there existed different cliques and factions within the IRA that believed that different roads would lead to Irish liberation. This had a huge impact on the IRA and surely contributed to many of the set-backs and stagnations in the national liberation movement there. One example of this was how the younger prisoners housed in Cage 11 were looked down upon and called "renegades" by the older, more conservative "veterans" of the IRA who were housed in Cage 10 due to Cage 11's belief in a socialist road to liberation. The veterans in Cage 10 despised Marxism so much that they went so far as to stage book burnings of such works as Marx's Capital, The Communist Manifesto and The Thought of Mao Zedong. Cage 10 outranked the younger Cage 11 and considered ordering them to stand down after word spread that the Cage 11 presented a series of lectures called Celtic Communism. (pg 42) No doubt, that prior to these lectures the speakers in Cage 11 studied On the Origins of the Family, Private Property and the State by Freidrich Engels, which is a revolutionary study from a dialectical materialist standpoint of how property relations and the patriarchy influenced and shaped humyn society from the primitive stage of humyn development to civilization. Unfortunately, the author doesn't tell us what happened next, even though six years had elapsed from the time of the hunger strike to when the book was written. A new updated edition of this book would be great to explain how Ireland's national liberation struggle has played out. According to MIM Theory 7: Proletarian Feminist Revolutionary Nationalism, printed in 1995, the Irish struggle had greatly degenerated as IRA leaders began to opt more and more for the ballot over the bullet. The belief that bourgeoisie democracy and/or the imperialists will ever consent to the people coming to power, or give up peacefully thru a vote, the territories they have stolen and occupy is a pipedream. Bobby Sands being put up as a candidate representing South Tyrone Ireland in the British Parliament was only intended as a move to agitate around the five demands and no one ever really thought he'd win, not in the beginning anyways. (pg 72) That said, it seems that Sands' victory spurned on those within the IRA who were already looking to put down the gun in favor of taking up electoral politics. But as MIM Thought has continuously re-iterated: the oppressed nations will never be free to control their destiny so long as the imperialists hold a gun to their heads. 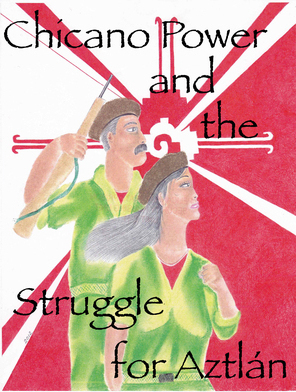 Maoists understand that there can be no peace so long as the imperialists hold power, therefore the only solution for the oppressed nations is to take up armed struggle once the conditions are finally right. Instead of looking to put more people from the oppressed nations into the imperialist power-structure, [email protected], New Afrikans, Boriqua and First Nation people should be working to establish a United Front to liberate their nations and towards the Joint Dictatorship of the Proletariat of the Oppressed Nations. The reality of national oppression however contradicts the author's idealism, this is why the Black Lives Matter movement is so threatening to AmeriKKKans and why it has slapped post-modernism in its face, because it dredged up a reality they once thought distant and better left repressed — best to pretend like genocide, slavery and annexation never took place. Most importantly, however, because it signals the contradiction coming to a resolution and the smashing of empire. What the oppressed nations need are more national liberation movements, not less. Another point worth drawing attention to is the false distinction the IRA made between political prisoners and "common criminals". We believe that is a bourgeoisie distinction and one that sets back both the prison movement and national liberation as they are inter-related. MIM Thought has consistently held that all prisoners under this system are political exactly because the system is political. One need only to look at mass incarceration in the United $tates and its many similarities to the criminalization policy that helped derail the IRA at a time when it was at its peak. A mí no me gusta meter la cuchara porque la mayoría de mi tiempo me la paso peleando el sistema, es lo que hago. No me gustan estos cerdos y no me gusta la forma en que estos aspirantes a presos les gusta hablar mierda pero en cuanto estos cerdos sacan su pluma y el reporte de mala conducta ¡se van a esconder bajo sus camas! Pero mi pregunta es esto: ¿Por qué chingados tienen miedo estos presos que tienen 15, 20, 25 años y más, a darle gas a estos cerdos? Pero cuando un camarada les debe $3.24 ¡están listos para acuchillarlo en la espalda! ¿Por qué cuando un cerdo te falta respeto te fajas la cotila como perro y le corres, pero cuando un camarada te falta respeto, de repente sí tienes huevos? Te voy a decir porque es así. Porque ellos saben que un cerdo les va arrastrar al hoyo a puros putasos. Pero si te peleas con un camarada, esa madre nomás va a durar a lo mucho un minuto. Y luego te dicen, "Trate al piso o te volamos los sesos." Yo me ha peleado con estos cerdos más de 5 veces en los últimos 3 años y !me han dado 2 cargos nuevos sobre eso! El año pasado ya estuviera en mi casa, pero hay una línea que si se cruza, van a ver consecuencias. Convertí mis 10 años en 20. No estoy orgulloso por eso para nada. Y no voy hay diciéndole a todos. Pero a veces te tienes que defenderte a ti mismo. Si no defiendes algo, ¡caerás por lo que sea! Así que, para todos mis camaradas, defiéndanse contra estos cerdos. No te estoy diciendo que les llegues a putasos, pero no les dejes que te hagan lo que quieran. Atácalos con pluma, huelgas, protestas, putasos o ¡como sea! En las palabras de Malcolm X "De cualquier forma que sea necesaria." Me voy con paz camaradas! Este camarada nos hace recordar algo importante, en que no debemos de quedarnos sentados y dejar que el abuso nos pase. Y el criticismo a esos presos que se pelean con otros presos por puras pendejeadas, pero que no le entran con estos cerdos, está al punto. Al mismo tiempo, todos tienen que evaluar sus propias condiciones y decidir cuál movida será justa y que traerá menos sufrimiento y represalias. Necesitamos que más camaradas como este salgan de la prisión, !no hacer que su tiempo se duplique! This is my report about how the Prisoners' Legal Clinic here in the Corcoran Ad-seg/SHU is going. As a Clinic Coordinator, I've been responsible for showing inmates how to read and study the Title 15, which allows you to know what rights you have as a prisoner, and learn how to file a box. You'd be surprised to know, a lot of inmates don't understand the basics, but we've had minimal success. The accomplishments have resulted in (1) inmates getting their property in an orderly fashion, (2) getting allowable items that were granted from the hunger strikes, (3) receiving our program of yard & showers that we're being denied for lack of staff, (4) and being assigned a regular counselor to come by once a week to see if we need any assistance and making sure we get our NDS privileges (phone calls weekly or monthly & canteen draw of $165.00 instead of $55.00). I've also filed a few written letters that have helped a few people get back to court, and allowed them to also be able to go to the law library once a week without having a case pending, which was the only way before. At this time we do not need any legal materials as we have enough at our disposal. This is a positive endeavor here, and this concluded my report. MIM(Prisons) adds: The Prisoners' Legal Clinic is a serve the people program, made up of prisoners in the United $tates who are fighting injustice in the anti-imperialist movement. Through the PLC legally-savvy comrades offer legal assistance to others in their prison in exchange for some political work. And behind the scenes MIM(Prisons) provides the resources and support needed by our Clinic Coordinators. This program helps support necessary legal struggles of prisoners while also making the connection between these struggles and our broader political organizing. Write to us for more information if you want to coordinate a Clinic where you are at.